I opened Haunted Harold’s bag…. 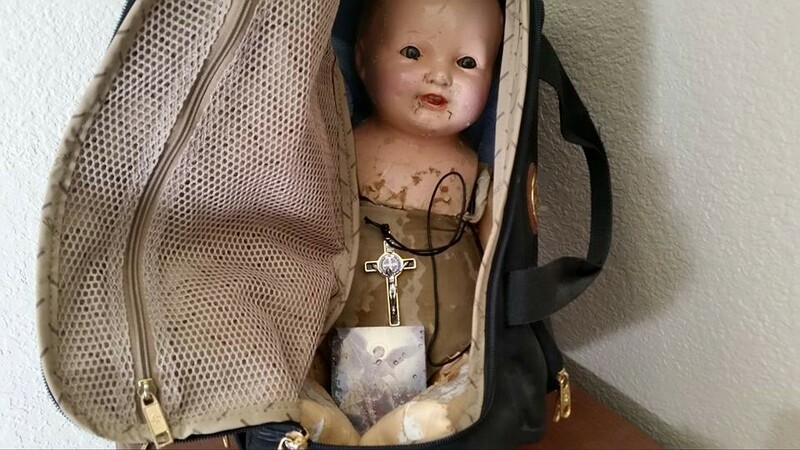 I pulled out the Saint Benedict crucifix, and was just about to bless the doll with holy water, when the top of the bag slowly closed on its own! I blessed the crucifix, when I noticed Chance and Bentley next to me watching what I was doing. Bentley was fine, but Chance was skittish. I held the crucifix up to Bentley and he sniffed it. Chance, however, was eyeing it suspiciously. I started to offer the crucifix for him to sniff and he ran away. The whole scene repeated itself a couple of minutes later. Now I’m noticing the beginning of a headache coming on. Haunted Harold Vlog – What is going on here?